We welcome Andy Townsend at Wochennotiz as an English-language reviewer at weeklyOSM. Traffic sign mappers – you’re in luck! There is now a traffic sign layer at Mapillary. Click on the bottom left filters on the map, and then on “Traffic Signs”. Not all traffic signs are found quite yet – for example the German 350-10 pedestrian crossing sign. In a separate blog post Kamil Nikel explains how Mapillary renders the traffic signs: namely with their own font Traffico. Martijn van Exel reported (wearing his “Telenav” hat) in his user diary that they are currently working with its salaried mappers to convert imported highways into dual carriageways. JOSM 7995 (January 2015) has been released. Read the changelog. Lukas Schnaus has revised and simplified its proposal for mapping traffic light green phases. The German speaking OSM community is attempting to improve data on pharmacies in Austria and Germany until February 15. Here is a short translation of this the work being done: “Wochenaufgabe Apotheken“. Richard Fairhurst points out that OSM data is either only moderately, or not at all, useful in rural parts of the United States, and that a manual inspection is necessary. Some German Mappers cannot resist offering a range of somewhat biting comments on this. Antoine Riche has trained 26 students of Pro GGAT (Génie Géomatique pour l’Aménagement du Territoire) in OpenStreetMap. 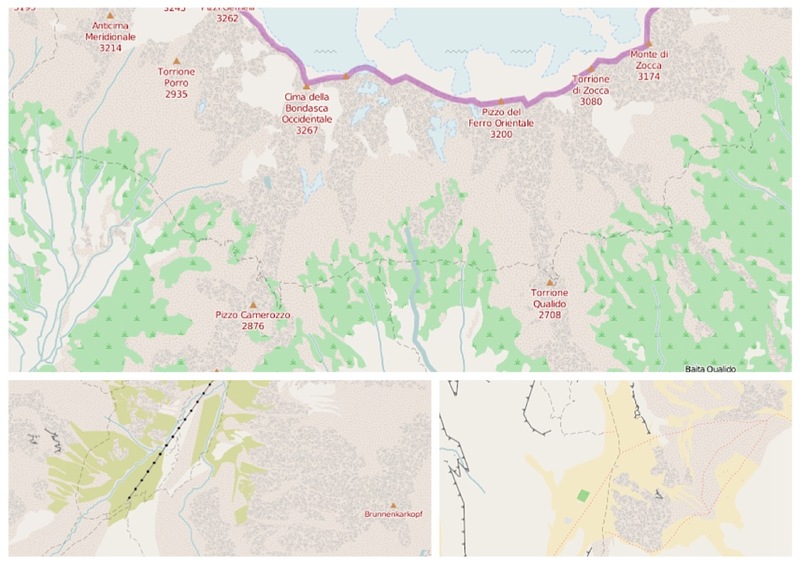 The materials used are available under CC-BY-SA: Introduction to OpenStreetMap and OpenStreetMap for geomatics. The afternoon was devoted to practical work in various ways: Geofabrik export with 3Liz styles, Overpass Turbo, QuickOSM plugin, raw data extraction with osmconvert and osmfilter. Randal Hale interviewed Kate Chapman from the HOT team. In the French forum user “Le corbeau” provides a “guide to vandalism” in OSM. The practice involves setting up notes with false POI information  and  and then just waiting until an “armchair mapper” implements them. Be careful with anonymous notes! Jesús Gómez Fernández describes how the Spanish blog “alter geosistemas” deals with turbo-overpass.eu and gets you the geographical data that you need. Michael Schnürle wants to import addresses and buildings in Louisville (Kentucky) . However, some issues have been raised on the import list. On 16 and 17 February, the OSMF board meets at a closed meeting in Berlin. Community members are welcome to attend the informal meeting that evening. Roland Olbricht talked about Overpass API in Geospatial devroom at FOSDEM in Brussels. You can download the slides here. Christoph Hormann likes the natural looking textures for unvegetated gravel plains in OSM Carto 2.27.0. Other important changes concern the rendering of medical practices and pharmacies. The other changes are listed on the talk mailing list. A paper discusses the implementation of PacMan within OSM. On 21 February the Open Data Day, an international Open Data Hackathon, is being held in over 90 cities worldwide . Organisers of such an event on 21 February can get initial funding of 300 dollars from the Open Data Day Coalition. Have you created a lot of OSM Notes that have not been solved yet and do you want to see them listed on a single website? If so, enter your OSM user name here: My OpenStreetMap Notes (OpenSource). Map Matching, an algorithm that assigns a GPS track to a list of major road segments from a GIS database, is now part of the Graphhopper project. Background to the blog of the maintainer. … The Overpass-based British Isles Boundaries Analysis (border relational analysis for the British Isles) by Ed Loach? … the user-friendly “POI search engine” from “A” like ATM to “W” like wifi (for moblie devices as well) from user homtec? … the page that shows nothing more than various styles …? … the OSM Lane Visualizer…? … the map collection maps of the world? the “Maps Coordinate service” will be shut down. Nine facts about the history of GPS.